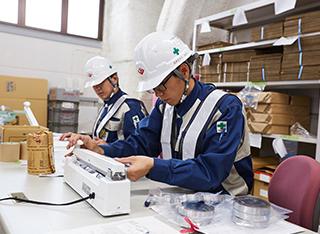 Warehouse Storage & Distribution Processing｜Integrated Logistics Services｜Services｜Kamigumi Co., Ltd.
We keep multipurpose warehouses at major harbors throughout Japan where we carefully store our customers' cargo. We offer services with a high degree of added value, including distribution processing such as inspections and repacking. 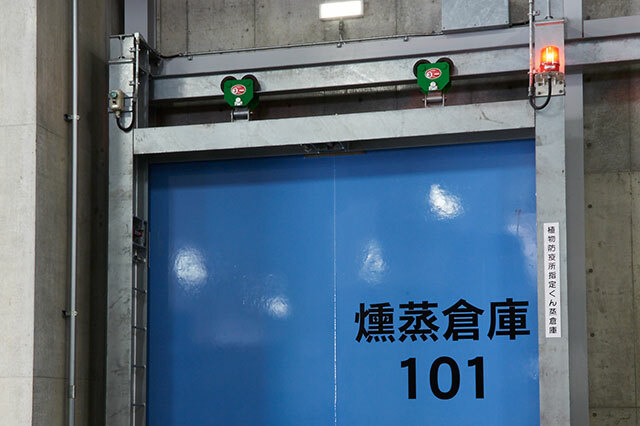 Kamigumi's warehouses offer a variety of features to ensure storage at the appropriate temperatures required by different goods, including ambient temperature, fixed temperature and cold storage. 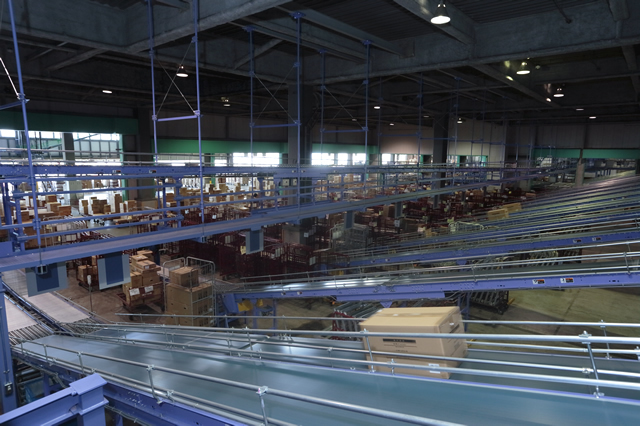 We possess many warehouses with unique features, such as fully automatic racks designed to meet the needs of our customers' goods. We also possess silos in a variety of regions, for use in storing lose bulk cargo (i.e. grains such as wheat and soybeans). 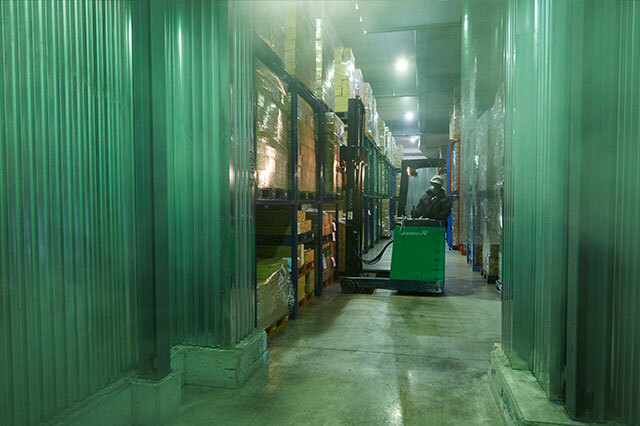 An ambient temperature warehouse is suitable for storing cargo not requiring temperature control such as general food products, machinery, textiles, chemicals, stone materials and wood. 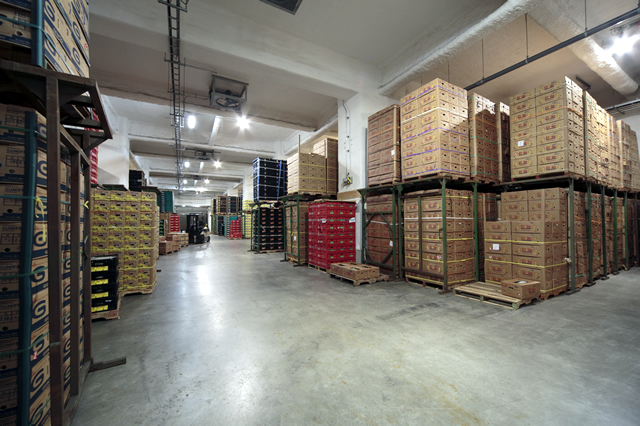 A ﬁxed-temperature warehouse is suitable for storing cargo such as fresh produce, peanuts, rice, bulk beans and general food products that must be kept at temperatures within a range of 0°C to 20°C. Cargo quality is preserved by strict management of temperature and humidity. A cold storage/refrigerated warehouse is suitable for storing cargo that must be kept at temperatures within a range of +10°C to -25°C. Strict control of the temperature within a range suitable to the particular cargo preserves quality. 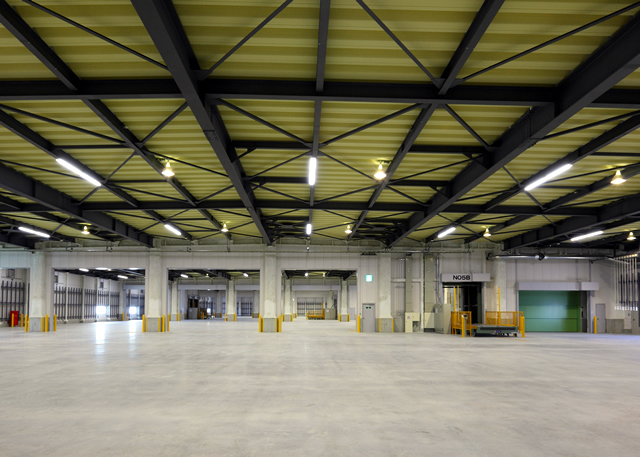 A fumigation* warehouse is available for agricultural goods. *When harmful organisms are discovered during inspection of agricultural goods imported from overseas, fumigation (sterilizing gas) is used to ensure these organisms do not spread within the country. Cylindrical silos are used to store bulk cargo, such as barley, wheat, corn and soybean meal. We ensure high levels of quality through strict quality control. 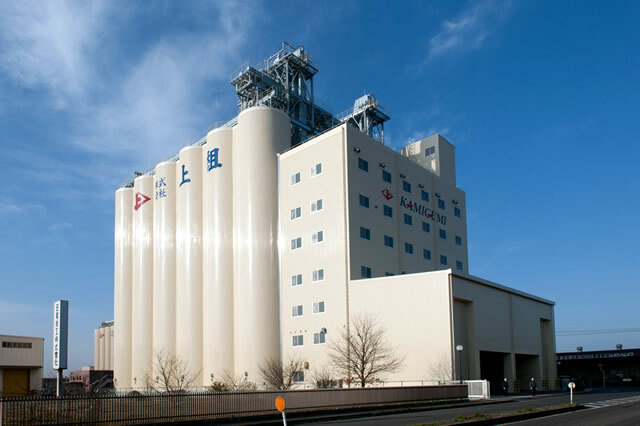 A list of our warehouses and silos at major ports throughout Japan can be found here. 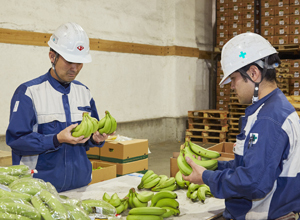 Our customers can utilize Kamigumi Port Island Integrated Logistics Center, one of the country's largest produce distribution processing facilities. The center is one of the country’s largest produce distribution processing facilities, combining a produce center and produce processing facility. To ensure quality controls that deliver safe, high-quality products, a cold chain (temperature-controlled supply chain) is in place the facility, through full air conditioning. The facilities is equipped to deal with everything from import of produce to inspection, fumigation, customs clearance and cargo sorting. Additionally, the facilities offers a wide-range of services specially tailored toward imports and exports, such as the ability to load and unload two depot ships simultaneously at the wharf, and the ability to handle containers using gantry cranes. We handle complicated 3PL/distribution processing for our customers, such as inspection and labeling of imported variety goods and food items, afﬁxing tags to apparel, and picking and sorting of small-volume, large-variety goods. Packing that suits the needs of particular types of cargo can be conducted at our packing sites, at which equipment such as overhead travelling cranes are installed. 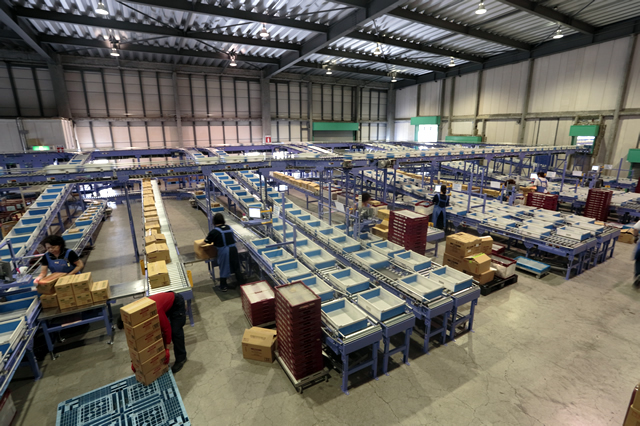 At our packing plant in Kobe, we have introduced equipment capable of cardboard packaging, enabling us to handle an even wider variety of cargo. 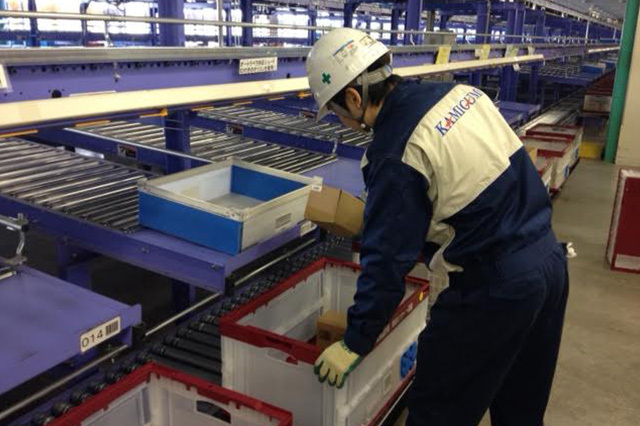 The Kamigumi Kobe Port Island Distribution Center has now begun operations. 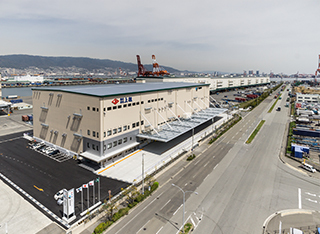 This facility also serves as the Global Parts Center for crane manufacturer and sales company, Tadano Ltd. Conveniently located in the internationally strategic harbor of Kobe port, close to Kansai and Kobe airports, the center supports expansion of customer service and sales for Tadano. 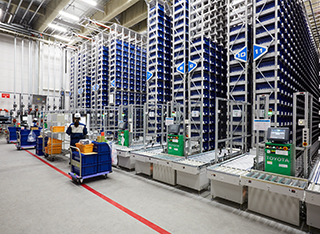 Tadano’s inventory of over 70,000 after-service parts is efficiently managed using automatic racks that combine space-saving with expandability. 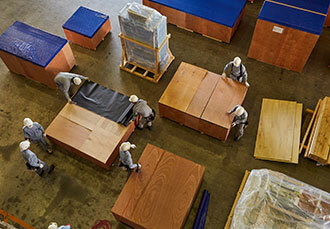 We also offer integrated support for distribution processing such as picking and packing.